I have never read anything by Stephen King, nor seen any of the movies based on his books. Not that I ever thought that there was necessarily anything wrong with his work. I’d simply not ever been interested in horror as a movie genre. I read it just fine, but on the screen, thank you but no. And that prejudice probably prompted me to not pick up one of his books. So when his On Writing was enthusiastically recommended to our writing class earlier this month, I wasn’t sure what to expect. What I got was a fascinating story on the making of a writer. "When I got back home she was in the kitchen, unpacking the baby bags and singing along with the radio. I gave her the hair dryer. She looked at it as if she’d never seen one before. ‘What’s this for?’ she asked. Sign into Goodreads to see if any of your friends have read On Writing. i really liked this when I read it also. 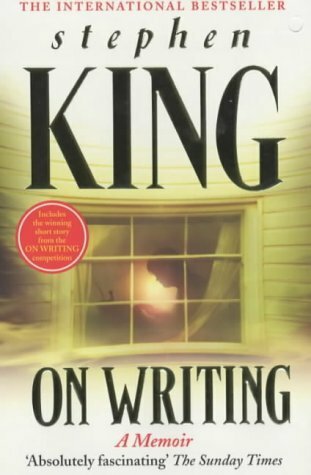 King comes across as smart and articulate...some would say that is obvious from his novels. However, I don't actually read many of his novels but I am impressed as anything about his thinking, his ability to put things across in a way that makes people understand. He is terrific, no matter that not everyone runs out to get his next offering.